And then was fired for it. I remember quaking in my cleats as I stepped up to bat against the fearsome Kim P. It’s not often you find a kid in Little League who can throw very hard; it’s even rarer to find one who does so with any sort of accuracy. Just so happens that the pitcher in our league who checked both boxes was a girl. So up to bat I went, hoping against hope that I wouldn’t strike out (or get beaned). Years later, of course, I would realize how silly it is to give a hoot about the gender of whoever’s striking you out. 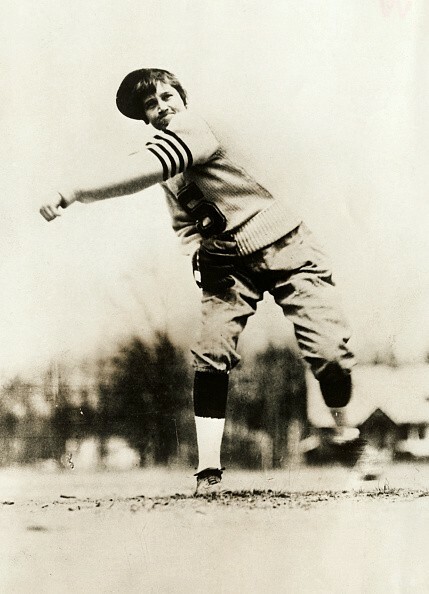 But it seems I’m not the only guy who’s ever faced this dilemma: Babe Ruth suffered a similar crisis of ego back in 1931, thanks to a talented lady pitcher named Jackie Mitchell. Some 85 years before modern pro ball started welcoming women to its ranks, a young southpaw from Memphis was knocking on the glass ceiling. 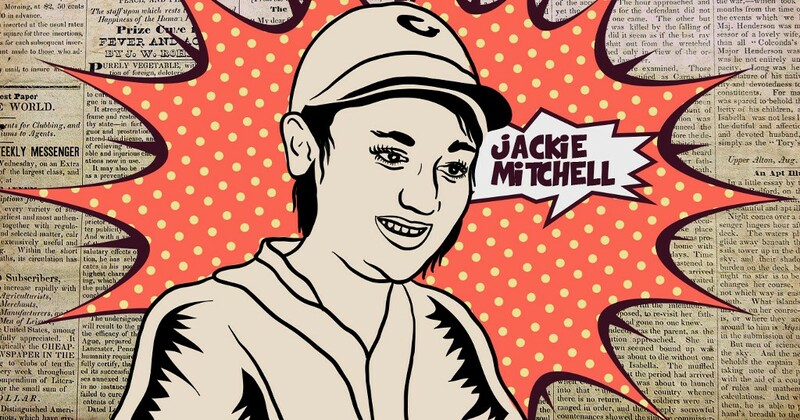 Jackie Mitchell had been taught to pitch by her neighbor and future Hall of Famer Charles “Dazzy” Vance (whose own story is pretty interesting, too). Though she showed immense promise, it wasn’t her athleticism alone that earned her a shot at the pros: It was Joe Engel, the so-called “Barnum of Baseball,” who managed a AA club called the Chattanooga Lookouts. Engel, famous for such stunts as trading a player for a turkey, was constantly on the make for ways to sell tickets. In the spring of 1931, he unveiled his newest gambit: signing 17-year-old Jackie Mitchell to a professional pitching contract. Little did he know Ms. Mitchell would prove much more than a sideshow act. On April 2, the major league New York Yankees took a detour on their way home from spring training to play a scrimmage against the minor league Lookouts. Press coverage of the young woman recently signed to Engel’s club was snide: “She swings a mean lipstick,” wrote one paper. “The curves won’t be all on the ball when pretty Jackie Mitchell takes the mound,” another outlet lamely quipped. Critics were shut up in short order, though: The Lookouts’ starting pitcher was yanked after facing just two batters, which brought Mitchell in to face the meat of the Bronx Bombers’ order. First up? Babe Ruth. The Sultan of Swat’s words found a home in the ear of baseball commissioner Kenesaw Mountain Landis, who voided Jackie Mitchell’s contract on the dubious assertion that the sport was too physically tough for women. Mitchell would join several other unofficial pro leagues before retiring and joining the family business. But though her career lacked longevity, it certainly burned bright for a brief moment. 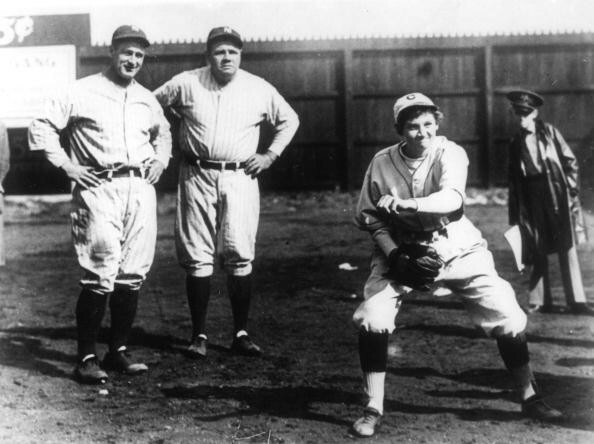 After all, she struck out the Great Bambino and the Iron Horse. How many can say that?